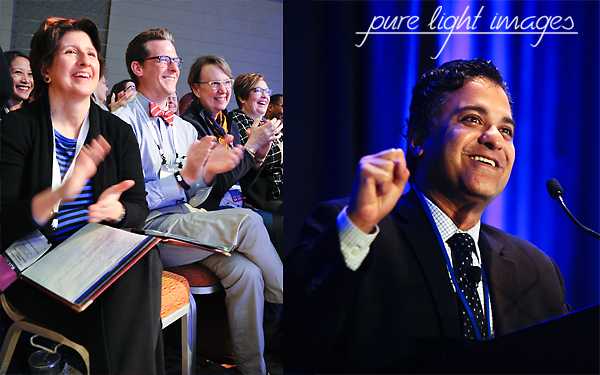 With more than 20 years of experience, Pure Light Images provides exceptional, creative photography for conferences, trade shows, galas, and other special events. From an intimate gathering in a private club to a convention of 10,000+ attendees, we will work with you every step of the way to produce compelling, engaged images that highlight what makes your event unique. We understand the importance of visual storytelling in the conference and exhibition industry and are passionate about creating incredible photos that you'll be able to use year-round for marketing campaigns, sponsorship growth, exhibitor recognition and increased attendance for your next event. Our attention to detail and focus on keeping our clients and their sponsors/exhibitors/attendees happy often earns us a seat on the plane to their next conference:-) We can't wait to start working with you!